Product Description: We are excited about a signature tea from the Laotian farmer, Insay, who lives in Ban Payasi village. This season he made Sheng tea for us. Leaves were collected from the tea garden in the Ban Payasi area, mostly by his wife, son and nephew. One of them would bring the raw leaves to the hut on the hill where Insay set up everything for making tea. He roasts tea and his wife rolls and shapes it. Then the leaves are spread on cloth on the ground to sun-dry. In a few hours tea is ready. It seems like a very simple process but it is not at all. His tea is definitely special, not like the usual Sheng Pu-erh tea or any other teas made in that village. It has a unique character with some sweetness and smokiness and a strong distinguished finish. 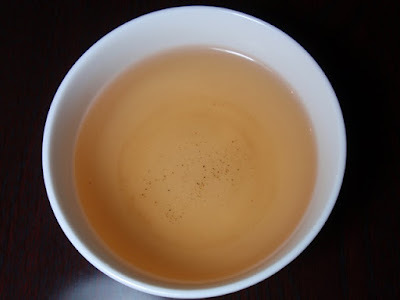 Even a novice to tea culture would recognize that this tea as a delicious one! 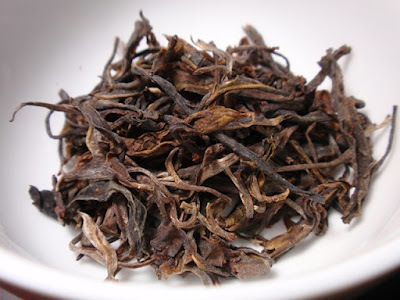 The dry leaf aroma is spicy, sweet, and woody. The infusion is golden with a smoky, earthy, mossy aroma. The taste is earthy, woody, and mildly astringent with a smoky pine finish. This puerh yields a lot of flavor and aroma throughout repeated steepings and I will admit to burning through my sample rather quickly. 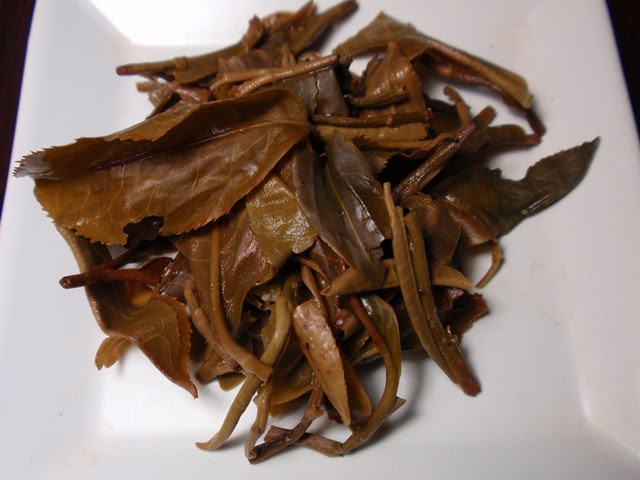 Multiple infusions continue to produce full flavored, aromatic results and the smoky notes were especially enjoyable. I didn't notice a drastic difference when steeping at 195° F or at 202° F and I'm looking forward to tasting the results at a lower temperature.